An application for the total demolition of the old Esplanade Hotel, Marine Drive, Hermanus, has been approved by Heritage Western Cape. Overstrand Heritage and Aesthetics Committee did not support the application and is appealing this decision. We are asking that residents of Hermanus show their support for our appeal by signing this petition. We are aware that the building is not of exceptional aesthetic or architectural merit. 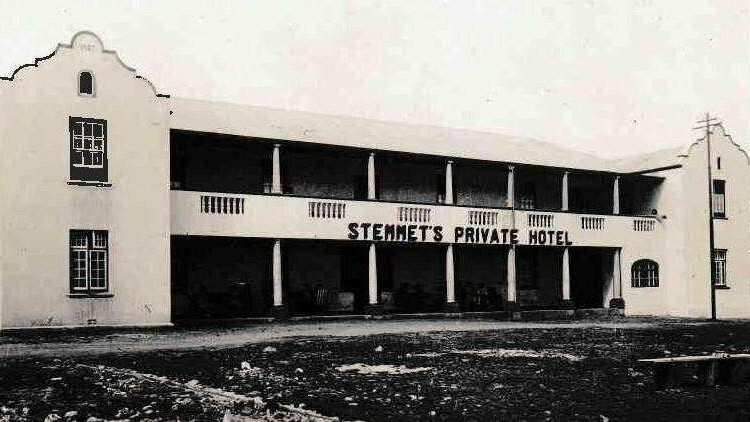 However, it is a very typical example of the numerous hotels that sprung up in Hermanus in the early-mid C20th that resulted from and, in turn, drove the rise of Hermanus as a resort and destination town between and after the Wars. As such it holds social and historical significance to the town and its residents. Further to this, its position on Marine Drive, close to the end of that road, and its status as one of the few remaining examples of these buildings, lends it landmark status. Its street interface, mass and bulk are all characteristic of buildings of this type and period, while its symmetrical facade and twin gables lend it visual interest. OHAC recommended the retention of the front portion of the building only, such that the rear could be redeveloped while retaining the charming and authentic street aspect typical of an historic Hermanus hotel. However, total demolition has been approved, as has the replacement of the building with a new, modern structure that maximises the permitted height and mass allowances. This serves as a further blow to the remaining charm of Hermanus as an historic seaside resort destination. This erosion of character also serves as a catalyst to encourage further demolitions and development applications as sense of place and streetscapes are lost. Should you wish to sign this petition, your objection will be noted and a total tally of supporters for the retention of the street aspect of this structure will be brought to the attention of the HWC Appeals Committee at the hearing on Wednesday.